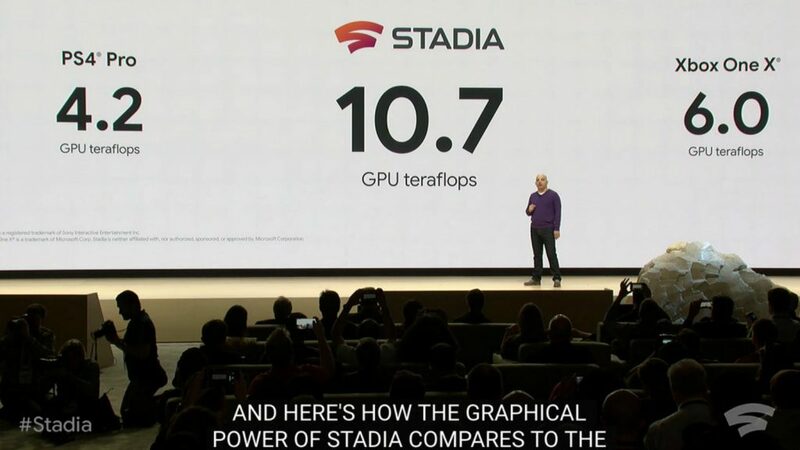 Today at GDC 2019, Google unveiled its gaming platform named “Stadia”. Stadia is a cloud-based gaming platform offering games on demand streamed through the cloud. Stadia is set to launch later this year (no dates announced as of yet). Stadia will allow its users to stream games over a variety of devices with no real performance loss. Google demonstrated moving gameplay seamlessly across different devices from phone to a tablet than to a TV, all being google devices. At launch, Stadia is expected to stream 4k 60fps games right over the internet. They demonstrated an example of watching a game trailer on YouTube, where at the end you could tap on the Play button to quickly jump into the game in as little as 5 seconds. Stadia aims to bring together playing, spectating and streaming all onto a single platform. Players can stream the game on any device as long as it is able to process the stream without hitch. This effectively removes the minimum spec requirements for playing games and also removes the need to keep games and system up-to-date with the latest patches. All the game data and library will be stored over Google’s servers rather than locally on host device. At launch, games will be streamable across laptops, desktops, TVs, tablets, and phones (no news about console support as of now). 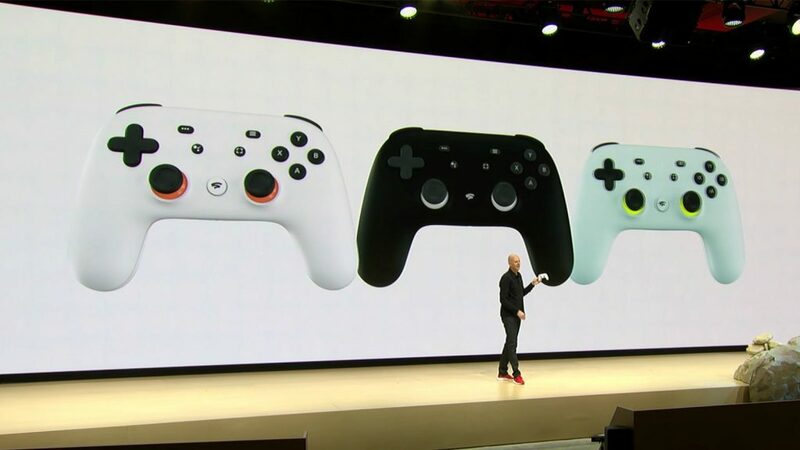 Google also showed off its new controller that will be coming with Stadia. The controller looks like a cross between the Xbox and PlayStation controller with extra features built over it. The controller will feature direct screen capture and upload buttons, so as to upload games moments directly onto YouTube. The controller also has a built-in Google Assistant button. The controller is said to connect seamlessly over Wi-Fi directly to Stadia service to ensure low-latency, lag-free experience and ability to use the same controller over other devices without logging out of session. One of the first games to launch on Stadia will be DOOM: Eternal and most probably Assassin’s Creed: Odyssey as it was available in beta testing (Project Stream). Although Google didn’t specify the number of titles available at launch but they expect a good number of games will be available for customers to enjoy. For Stadia Google partnered with AMD to provide a custom-made GPU for their data centres. The said GPU will have 10.7 teraflops of power, 56 compute units, and HBM2 memory. The CPU will also be a custom AMD x86 processor clocked at 2.7GHz, hyperthreaded, and AVX 2 compatible. This whole setup will be paired with a total of 16GB HBM2 memory, with up to 484 GB/s transfer speed, and L2+L3 cache of 9.5MB shared between CPU and GPU.